$49.95 In stock. Order in the next 19 hours, 21 minutes and it will go out today! You get straight schooling from one of the best bar magicians in the business. 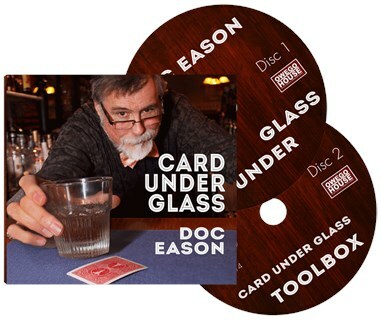 It should also be noted that there is much more information here than in Doc’s video set from L& L. If you are intrigued by the Card Under Glass plot or you want to learn close-up magic from a seasoned veteran, you’ll definitely want to own this set.